With the legalization of cannabis just around the corner in Canada, there is a great deal to discuss. Giving stakeholders an opportunity to debate various points regarding the use, production and distribution of cannabis should contribute to the public discourse. Taking advantage of this opportunity, the International Hempology 101 Society will begin hosting monthly presentations in Victoria, B.C. relying on its newspaper, the Cannabis Digest and other media to share the highlights. Regulations controlling the cannabis industry could range from tight rules favoring large companies to policies that ensure minimum standards exist that encourage small businesses to flourish. While other jurisdictions have legalized cannabis, providing some examples of how cannabis can be regulated, there is no obvious path the Canadian government will take. Since it appears a lot of the decisions will be made by provincial governments, there is good reason to focus the conversation in Victoria. 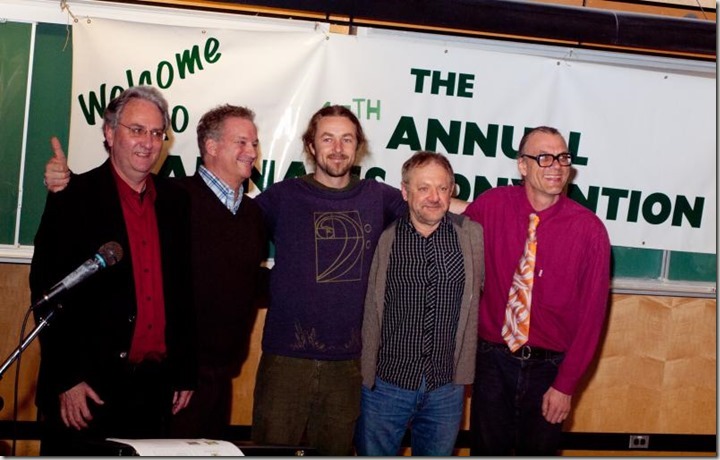 Since it started over two decades ago, the International Hempology 101 Society has held a wide range of events to help bring awareness to cannabis and the faults of prohibition. Having organized many conventions, lectures, rallies, book signings and press conferences, hosting monthly hour long discussions will be easy. The format will be simple, two guests will be invited each month to speak about a pre-determined topic, with opportunities for the audience to ask questions. 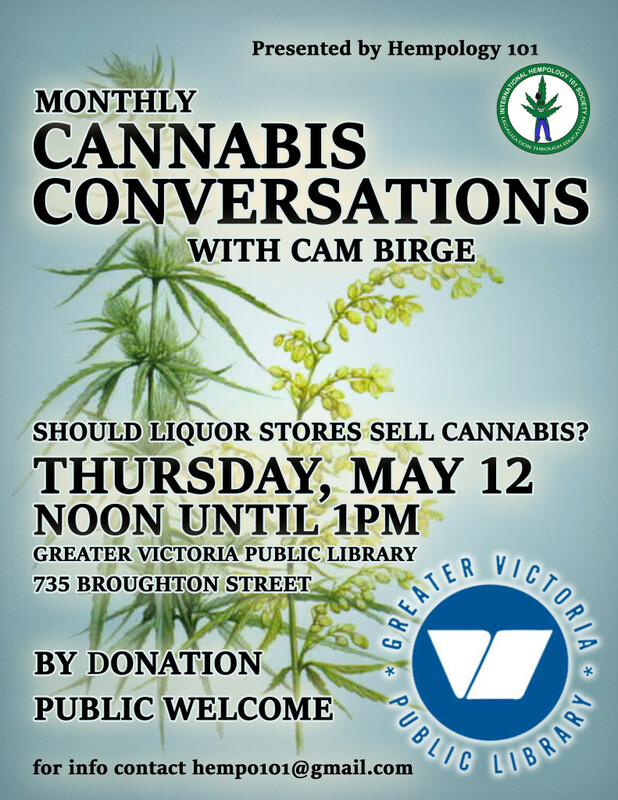 These gatherings will be hosted by Cam Birge, known locally for his work with the Sensible BC campaign. In 2013, he lead the local drive for signatures, renting a downtown office to coordinate efforts in the region. His keen business mind will ensure none of the speakers get away with a vague or incomplete answer. Topics will range each month from economic impacts, medical uses, government policies, legal challenges, industry developments, and cultivation. There are many local entrepreneurs working with cannabis and so many other professionals, professors, doctors, lawyers, politicians, etc, that there will be no shortage of speakers. Video recordings will provide those unable to attend a chance to watch later. Posters and press releases for each monthly will be released as details of the speakers are confirmed. The first monthly cannabis conversation will be on May 12 at noon at the downtown public library. The public is welcome, it is free to attend but donations are welcome. For more details please email hempo101@gmail.com.